This year the festive season has been all about getting creative with some DIY Projects at home. I’ve been adding a touch of holiday decor to each room to get into the spirit of the season. I often start by setting the mood with some essential oils, it is a quick way to fill the room with a welcoming aroma and delight the senses. You can mix essential oils together in a diffuser or burner to make your own blend or get a festive scented pack. This oil is reputed for relaxation, inner peace and healing. Also useful for headaches, stress, insomnia, insect bites, eczema and inflamed skin. Directions: Adult: For the temporary relief of headaches, stress and insomnia: Massage 2-3 drops directly onto forehead, temples and back of the neck. 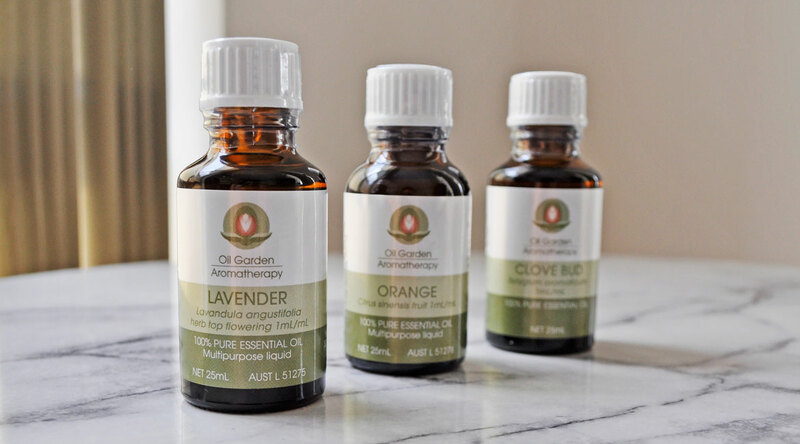 To treat insect bites, inflamed skin and for the relief of symptoms of eczema: Add 5 drops to 10ml base oil and apply to affected area. 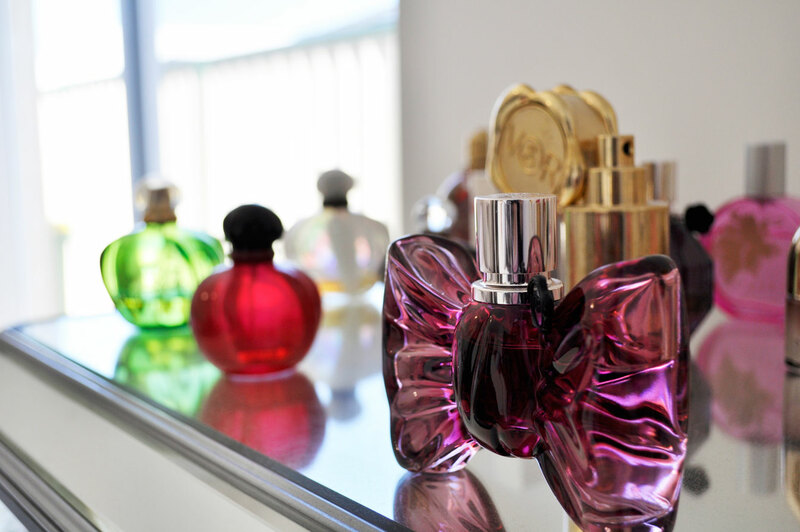 Odour: A sweet, floral-herbaceous scent with a slight woody undertone. This oil promotes self-confidence, courage and creativity. Also useful for colds, coughs, muscular cramps and spasms. Directions: Adult: For relief of the symptoms of colds and temporary relief of bronchial cough: Add 5 drops to 1Litre of steaming water, cover head and inhale the vapour or add to 10ml base oil and massage onto chest, back and soles of feet. For relief of muscular cramps and spasms: Massage as above onto affected area. Odour: A sweet refreshing and fruity citrus scent. This oil energises and invigorates. Also useful for mould inhibitor and natural cleaner. Directions: Traditionally known for its antibacterial and mould inhibiting properties. Clove oil is an excellent natural cleaner and mould inhibitor. Simply add one teaspoon Clove Bud to 1 Litre of warm water in a spritz bottle. Spray bathroom surfaces, leave for 20 minutes, wipe off, re-spray and leave. Odour: A powerful sweet-spicy aroma with a fresh-fruit undertone. A combination of pure essential oils to help create the perfect celebratory atmosphere on special occasions and to being peace, joy and harmony to the home. Lavender promotes peace of mind, Orange helps to uplift and Clove Bud relieves nervous tension. Those baubles look amazing! That is so clever 😊 How long have you been making soap? I’m still new to it so they don’t look as amazing as that. It’s my third time making soap 🙂 I really enjoy it! It’s so much fun Munira 🙂 my kids really enjoy it too! AMAZING Ideas – Can I order from you – ha ! A few months ago the thought of opening an Etsy shop did cross my mind 🙂 I have so much fun making soaps, candles, beauty stuff etc but I get too busy… Too many projects, not enough time. Lavender essential oil is my favorite for stress and anxiety and relaxation lol. It’s wonderful and smells amazing too! I’ve recently started to use a natural disinfectant with clove in it – it smells so good and works really well! Think I’ll have to get some orange oil for winter. Thanks for the tip! I’ll have to try the clove natural disinfectant. This is such a great idea. I never DIY! I love lavender, it’s so relaxing! I love essential oils! Thanks, for sharing this post!